Foremost you need to understand the difference between non-luxury brands and luxury brands. 14 Jul 4 Must Do’s for Luxury Retailing. Recently, one of my blog followers asked me a question as to what makes Luxury brands so aspirational and different. This question prompted me to write this article which will give you 4 “Must do’s” to build a luxury brand. Having worked and being involved in leading the team that produced a luxury concept arising from United Arab Emirates (in beauty & fashion domain), I would like to share my wisdom acquired from my personal experience. Most non-luxury brands succeed because they are marketed in terms of the problems they solve. These are their reasons for being. For example – Brand X of t-shirt whisks sweat away to keep you cooler; A Particular sweetener gives you the taste without the calories, brand car X gets more miles to the gallon so you spend less on over-priced gas. Not so in the business of luxury. No one wears a Burberry trench coat merely to stay warm. No one forks over $200,000 for a Bentley simply to get from point A to point B. No Luxury products exist for a much less rational reason. Therefore, the marketing of them must be much more emotional. In short, mass marketing is the business of selling reality. Luxury marketing is the business of selling dreams. Luxury brands should advocate the beliefs of customers rather than simply rely on brand values. Beliefs go further; they’re more specific and, consequently, more segmenting. Unlike mass brands, luxury brands should not strive to please everyone, but those customers whose beliefs align with their own. A good example of this is Ferrari’s belief in high performance. The brand rarely advertises in mass media, but it invests significant amounts in Formula 1 events. It focuses on actions related to its belief to reinforce this tenet in consumers’ minds. Another good example is Louis Vuitton’s belief in art. Among other collaborations, the fashion house linked up with Japanese artist Yayoi Kusama to create a limited edition of products. In mass markets, brands distribute their investments across several efforts because they want to reach and please the broadest possible spectrum of customers. Instead, luxury brands’ investments are focused on the specific beliefs of the brand, creating a very focused experience for the right customers. A true luxury brand cannot stop their offering at the product itself; they must go beyond that to offer unique services or rituals. This can start with something as simple as attentive salespeople and prompt customer service, but it should really go beyond that to create a consumption “ritual” that allows customers to experience the brand. Perfume brand Le Labo does this very well. Using the premise that the quality of perfume deteriorates over time, it revolutionized the consumer buying experience by offering a special personal experience: each Le Labo perfume is hand-blended and individually prepared in front of the customer at the moment of purchase. The glass decanter is then dated and the customer’s name is printed on the label. After taking the perfume home, the customer must let it marinate in the fridge for a week before using it. Through this ritual, buying Le Labo perfume becomes more than an exclusive product; it becomes a personal experience. Luxury brands must pay extra special attention to the way they sell and innovate at the point of purchase. Before, it was enough for luxury brands to use brick and mortar stores to sell their products, but they must now aim to design multifunctional, controlled spaces that create brand experiences and communicate brand beliefs. 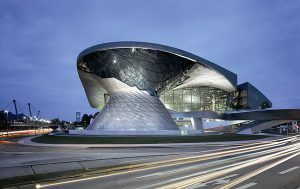 BMW World in Munich is another example of a temple-like showroom, where consumers can “experience” the brand rather than simply buy the product. 4) Don’t respond to rising demand. One of the key premise that Luxury brands work on is “Less is more”. Connoisseurs of luxury brands relish a sense of exclusivity that comes along with Luxury products, its emotional gratification that provides a sense of belonging to the elite club. One of the most famous and highly successful brands that have mastered this point is Hermes. The bags are scarce, sought-after a simply the best, and they have the price tags that go along with all that exclusivity. 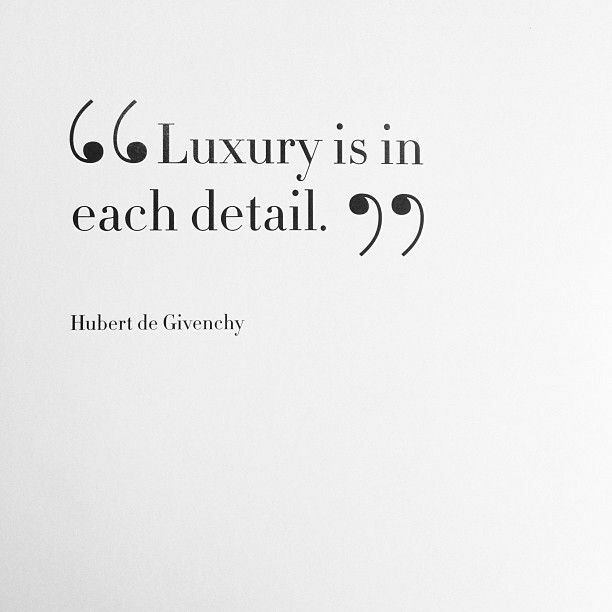 To summarize, I would like to end up with a famous quote by Hubert Givenchy, “Luxury is in each detail”. I hope the above pointers would help my fellow retailers to develop their brands more luxurious for their discerning customers. Ritesh, very well captured the essence of Luxury. Know the luxury values and Stick to them. Time for your book, buddy.